With just over 50 000 car & 4x4 hires since 2006 to both local and international clients we take customer satisfaction to the next level. We’re committed to providing exceptional customer service. We deliver a streamlined customer experience from your first phone call to your secure online payment. Our car hire consultants are trained to provide expert product advice and a complete travel service, matching you with the most suitable vehicle to your personal requirements and your journey. We’re located in Cape Town and we know Southern Africa inside out. This helps us give you comprehensive advice, extending far beyond vehicle hire. We only use trusted and established car hire companies, providing reliable, latest model vehicles, ensuring that you receive uncompromising peace of mind when hiring a car through us. Our online car hire comparison service allows you to conveniently compare vehicles online, ensuring you find exactly what you’re after, and receive the best price from our top car hire companies. You won’t be surprised by hidden costs. We’ll show you all the fees, deposits and insurance you’ll have to pay upfront when hiring a vehicle through us. There’s no need to wait when hiring a vehicle with us. Book your vehicle instantly at a few of our selected partners through our easy-to-understand booking system. We believe in saving you unnecessary fees wherever possible so we don’t pass on any amendment or credit card fees to our customers. Our 128-bit online payment and booking service ensures your details are processed through a secure system, eliminating the chance of credit card fraud. As a member of the Discover Africa Group – a registered member of the SATSA – we’re bonded with third party indemnity cover, which covers all monetary deposits lodged with us. Over the years, the Drive South Africa team has continued to evolve into the friendly and helpful bunch you'll interact with today. Find out more about the familiar faces and voices you’ll hear when contacting or visiting us. We value the close customer relationships we build. Read what some our previous clients had to say about us. Booking a car with us is as simple as 1, 2, 3, 4. This is how you can do it, quickly and easily. Every journey has a beginning. Steve Conradie embarked on a six-month self-drive African safari, engaging his enthusiasm for 4×4 safaris and his desire to build on his previous African adventures. Upon returning, Steve met Andre Van Kets, a Business Science graduate with fervor for information technology, equally enthusiastic about Africa and the prospect of unlocking the continent to 4×4 fans through an online platform. Starting initially as 4×4 buy-back service, the company emerged as an early authority in the 4×4 market, being able to offer comprehensive advice and first-hand experience for journeys into Africa. It wasn’t long before customers came looking for alternative to the 4×4 buy back option, wanting expert advice and short-term 4×4 hire. 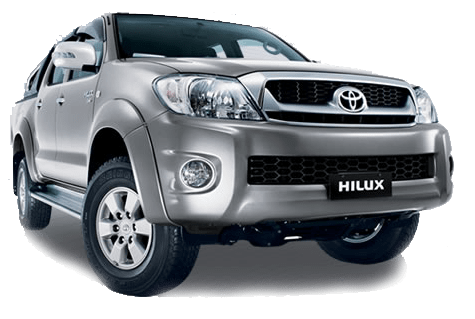 Drive South Africa decided to turn the outsourcing of 4×4 hiring into an in-house service and in March 2003 began leasing 4-wheel drive vehicles to customers. By June 2003, demand for Drive South Africa’s attentive customer service permeated into the car hire market, with increasing requests for car hire, Drive South Africa incorporated car hire into it’s product catalogue. Camper hire followed in 2004 and services such as chauffeur hire, transfers and self-drive tours emerged over the course of 2004 and 2005. With just over 50 000 rentals to both local and international clients we take customer satisfaction to the next level. Believe us. Browse through our selection of vehicle hire to suit your every need. We offer budget car hire to luxury car hire, for short term or extended long-term car hire in Southern Africa.